Wooly is a weird name for these but when you feel the subtle soft finish on these 6 panel genuine FlexFit caps you'll understand why that name would help differentiate this model of embroidered FlexFit hats from the rest of the Yupoong line. These customized FlexFit hats are by far our favorite, as we've sold them to everyone ranging from local business owners to pro sports teams during Fall training. While most companies offer up to 5,000 stitches of custom embroidery, we ship these out to you with one location of up to 7,500 stitches of custom embroidery, and our pricing is all inclusive, even shipping is already accounted for. If you are looking on a deal on high end embroidered FlexFit hats or caps, this is definitely worth a look. 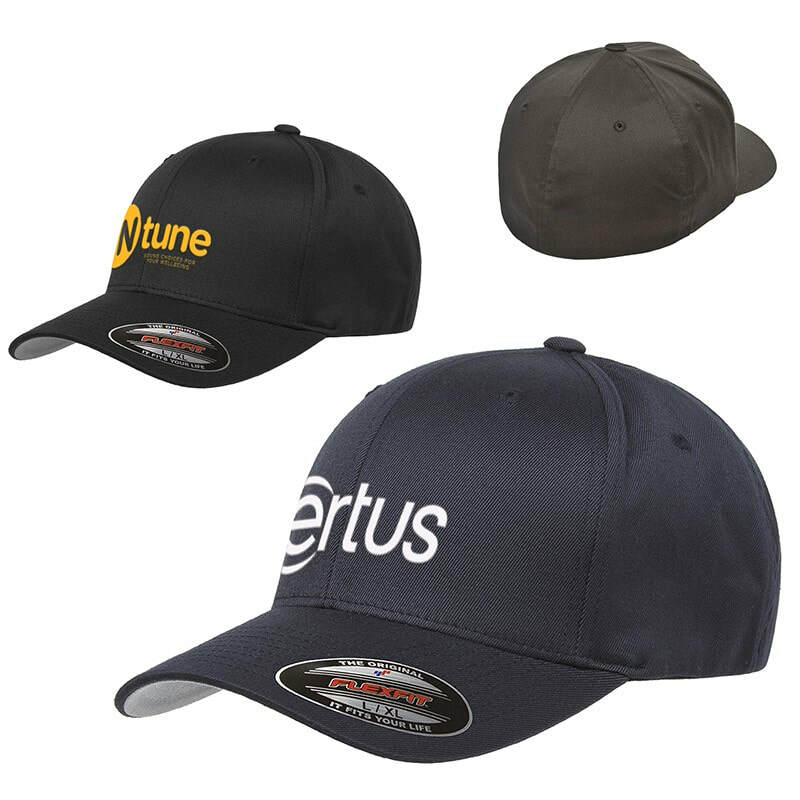 -After ordering, send your high resolution logo and hat color to sales@adspecialtyproducts.com so we can start digitizing the logo for your awesome new hats. -We also need to know how many s/m and l/xl you'd like as these are the size choices. Does your logo stink? It doesn't have to --- we have the best graphic designer on the East Coast and can throw in some art assistance.